Most of the world’s oldest structures in existence are made from beautiful and enduring natural stone – a building material that has been used for thousands of years. 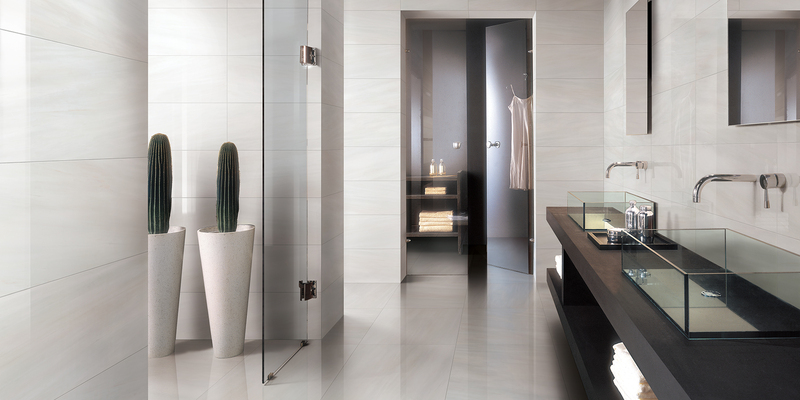 Marble, granite, travertine, limestone, slate, basalt, dolomite and soapstone are quarried from the earth. 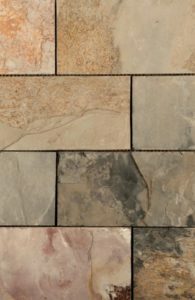 No two pieces alike, there are inherent variances in all stone including color and shade, geological flaws, irregular markings, voids, pitting, veins, fissures and lines of minor separations, and even fossil inclusions. 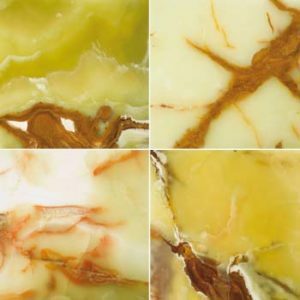 However, these characteristics are part of the natural beauty of the stone and will not impair the function or wearing qualities of the material. Metamorphic stone has been changed from one form into another. Increased heat and pressure as well as the introduction of new minerals can cause color or texture change. Under sufficient pressure, minerals can crystallize. Diamonds are an example of a carbon that has taken on a crystalline structure. The presence of other minerals is responsible for variations in color. Granite is igneous - meaning that it is formed by extreme heat and volcanic action. Igneous rocks are formed from the solidification of magma deep in the earth. They contain 45-66% silica (quartz). The remaining minerals are mostly feldspar, mica, and iron ores. 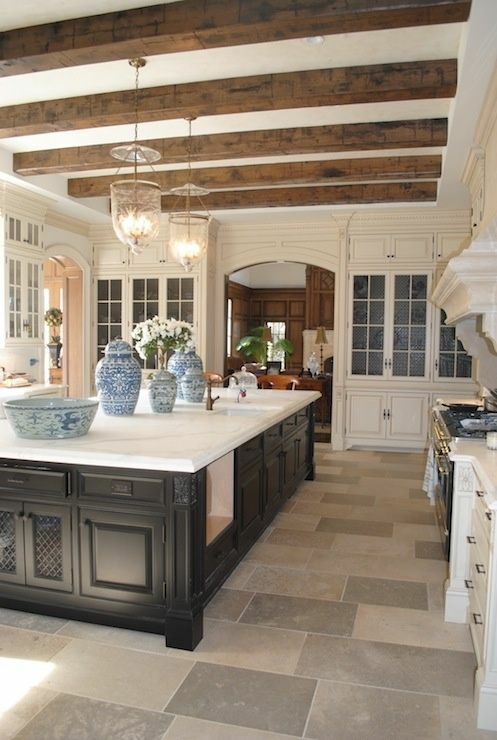 Granite, one of the hardest and most scratch-resistant stones, is the most abundant igneous rock found on Earth and an excellent choice for kitchen countertops, floors, and other heavily used surfaces. Limestone is an organic sedimentary rock (small particles of rock or stone that have been compacted by pressure). Limestone is formed in one of two ways: with the help of living organisms and by evaporation. Much of the calcium carbonate in limestone comes from the remains of ancient marine life, such as coral. Ocean-dwelling organisms such as oysters, clams, mussels and coral use calcium carbonate (CaCO3) found in seawater to create their shells and bones. Their shells and bones are broken down by waves and settle on the ocean floor where they are compacted over millions of years, creating limestone from the sediments and the pressure of the ocean water. Limestone can also be formed when water containing particles of calcium carbonate evaporate, leaving behind a sediment deposit. The water pressure compacts the sediment, creating limestone. During regional metamorphism that occurs during the mountain building process (orogeny), limestone recrystallizes into marble. 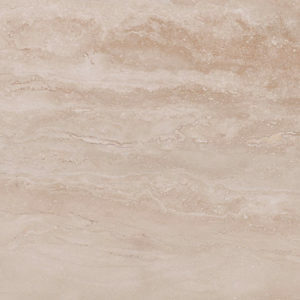 Travertine is the terrestrial (land) formed version of limestone, as opposed to the marine based formations of many other limestone varieties. Some limestones are formed completely by the chemical precipitation of calcite or aragonite, i.e. 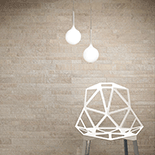 travertine. Impurities (such as clay, sand, organic remains, iron oxide, and other materials) will cause limestones to exhibit different colors, especially with weathered surfaces.Despite the common and traditional reference to "travertine marble," travertine is a banded, compact type of limestone formed by mineral spring deposits, especially those of geothermal springs. 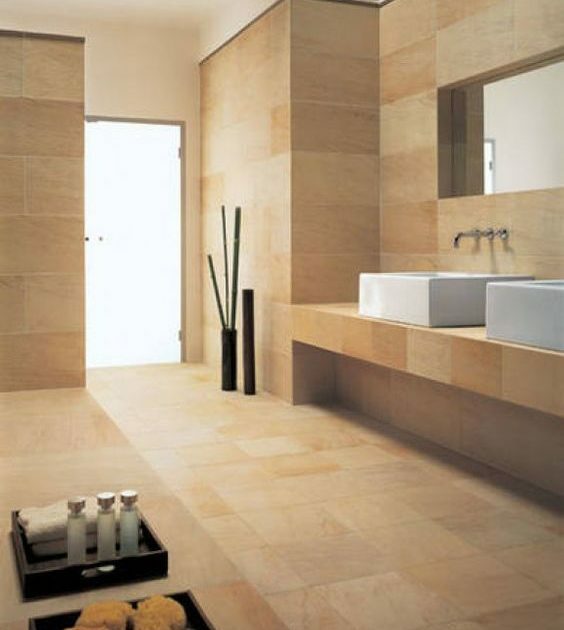 “Limestone” formations created through evaporation are chemical sedimentary rocks, also known as travertine. They are formed when droplets containing calcium carbonate percolate through cave ceilings and evaporate. As each evaporated droplet leaves behind a small amount of calcium carbonate, a stalactite forms. 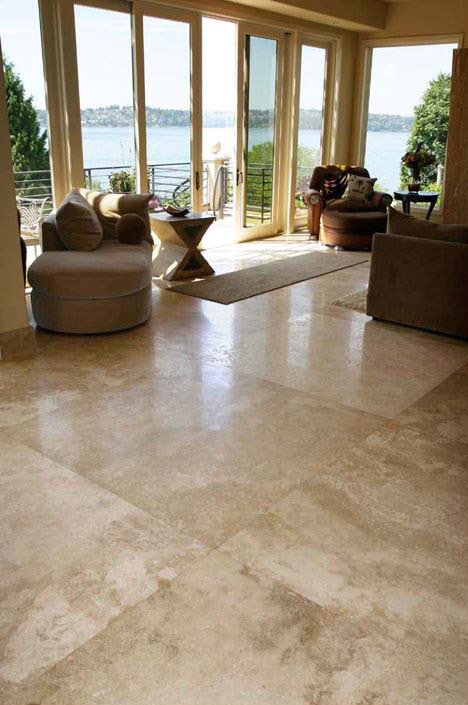 Travertine is referred to as either cross-cut or vein-cut. 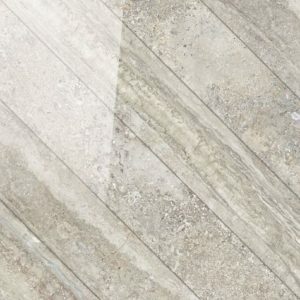 Vein-cut travertine has a banded, directionally striped or “strata-cut” appearance while cross-cut travertine exhibits a non-directional, swirled or flowery and random movement. 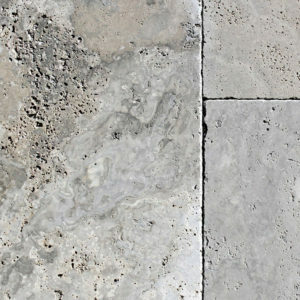 During the formation of travertine, hot water percolated through the stone thus causing holes and voids that are not always seen in Limestone. 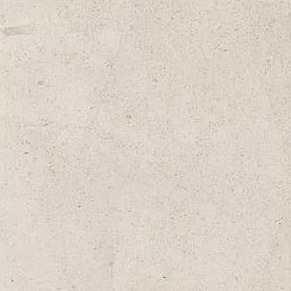 If these voids are filled at the factory during processing, the travertine is referred to as “filled.” The composite fill done at the factory is more durable and smoother than sanded grout, though unlike your grout color, you will not be able to choose the fill color. Onyx can be found in the crystallized stalactite and stalagmite formations of limestone cavern deposits. 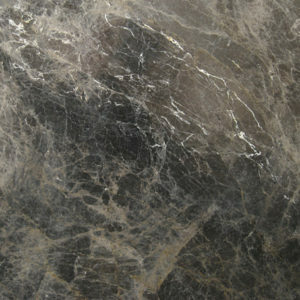 Most onyx is translucent and often used in dramatic back-lit applications in bars and restaurants. 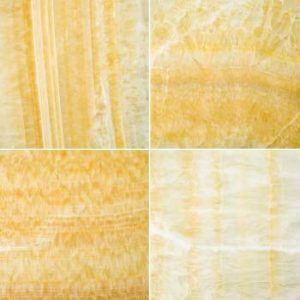 Best described as having a “burled woodgrain” pattern, onyx is typically offered in four colors: white, honey gold, green and red. 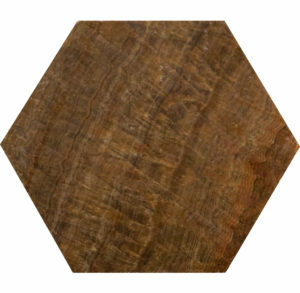 There is a brown onyx, often called “wood onyx,” that especially mimics wood grain patterns. 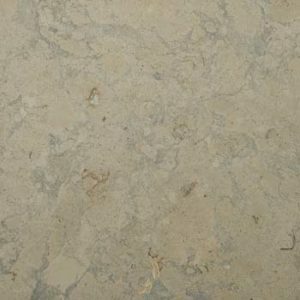 Quartzite is a naturally occurring metamorphic rock that evolves from “sandstone” under intense heat and pressure. 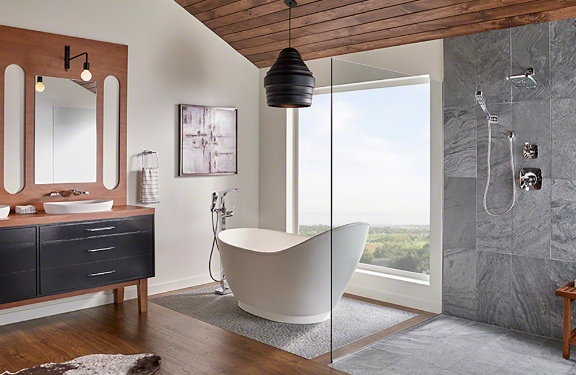 “Quartz” and “quartzite” are often confused. 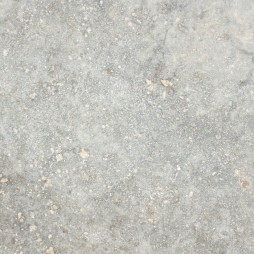 Quartz refers to a manmade material created by combining crushed stone with color and resin to make an engineered slab material for countertops and other applications. 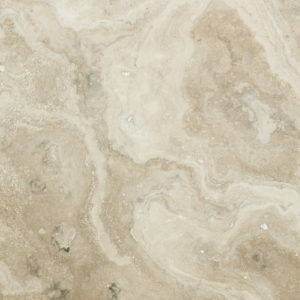 Many polished quartzite varieties offer a marble look, but require much less maintenance and are therefore a popular choice for countertop slab use as they look like marble but act like a granite. 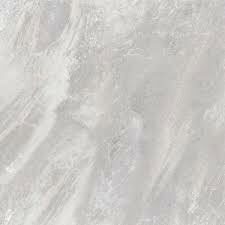 Most marble-look quartzites are not offered in cut tile formats. 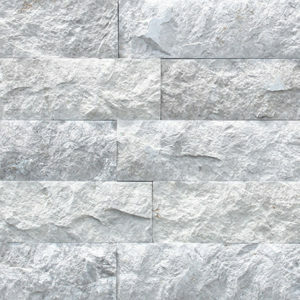 “Quartzite” is a term that is sometimes used loosely in the stone industry – especially when referring to slates, which are a very different material. There are also intermediary materials that could be called “quartzitic slates” (such as “copper” and “silver” slate) which are often confused as being a quartzite likely due to their “metallic” characteristics. True quartz is a very hard, dense, and heavy material and is generally available in neutral/pastel colors: white, light grey-blue, gold, light green, grey. 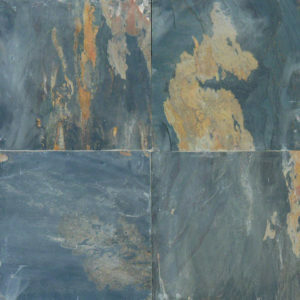 True quartzites are of the rare stones we can recommend as acceptable for use in a waterline while copper or silver slate material would never be recommended as it can leach rust with constant water exposure. 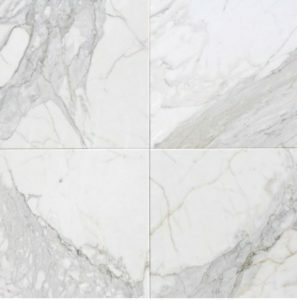 Marble is a soft metamorphic rock that forms at the edges of tectonic plates, where limestone (or dolomite) is exposed to regional metamorphism. The heat and pressure of the metamorphic zone force calcite inside the limestone to recrystallize and merge into the classic denser and harder marble composition. 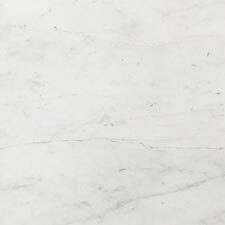 Pure white marble is the result of metamorphism of a very pure (silicate-poor) limestone or dolomite protolith. 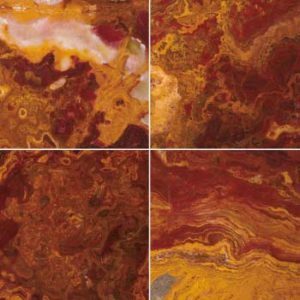 The characteristic swirls and veins of many colored marble varieties are usually due to various mineral impurities such as clay, silt, sand, iron oxides, or chert which were originally present as grains or layers in the limestone. Green coloration is often due to serpentine resulting from originally magnesium-rich limestone or dolostone with silica impurities. Another form of limestone, dolomite generally has a higher density, lower absorption, greater compressive and bending strength, and higher abrasion resistance than the calcium carbonate based limestones. These property differences offer some application choices for dolomites where other limestone varieties may be unsuitable. 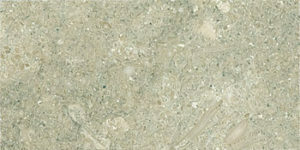 A bluish-grey talc-rich stone with a “soapy” feel, used for hearths, tabletops, chemical-resistant laboratory tops, stove facings, and cladding; known for its heat, chemical, and stain resistant properties. 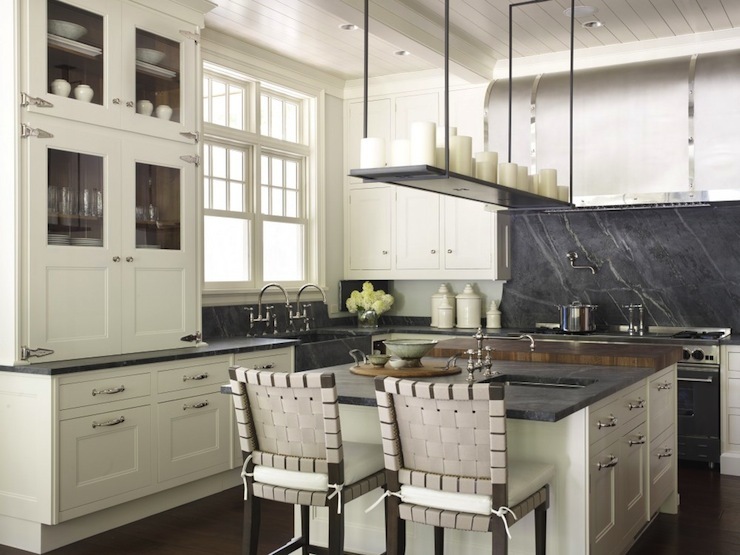 Soapstone's notoriety exploded since fans saw soapstone in the kitchens of both Martha Stewart and Paula Dean. 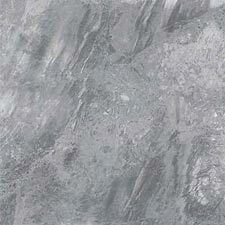 Typically flannel-grey in color, soapstone presents a "both old and new" design look. A sedimentary rock that consists of quartz, feldspar and sand. Available in a wide array of colors with a striated, directional but fluid movement including reds, yellows and browns. Slate is a metamorphic rock. It is formed when sedimentary shale is under pressure and heated by magma. It is composed principally of muscovite and the decomposition of feldspars and quartz. Therefore it is normally softer than a marble or granite. 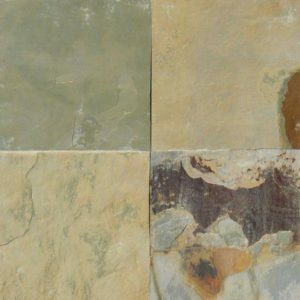 Slate is known for its clefted (a cleaved surface that is formed when the stone is split into any thickness) and variegated surface texture as well as high color variation. Some slates are offered “gauged” which means the thickness of each piece has been calibrated. 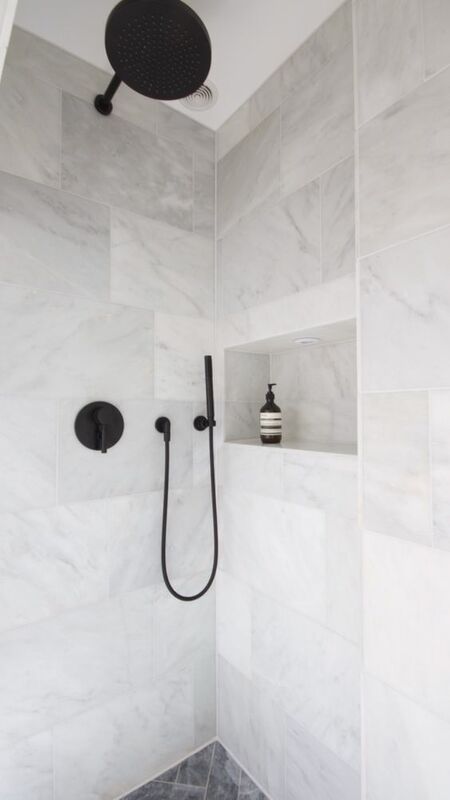 Typical slate tiles have variable or “ungauged” thicknesses which make it more work to achieve a level surface installation. Technically gauged means that the backside of the stone has been machined to a grooved surface to make each slate tile a more consistent thickness – usually within 1/16″ or so. A high-gloss finish attained by machine-grinding and buffing the stone. 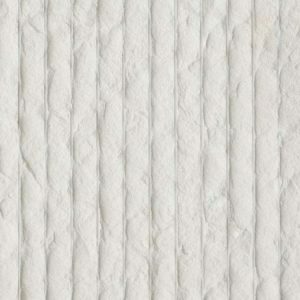 A high-polish finish also works to repel stains, though wear or scratches can “hone” the material. 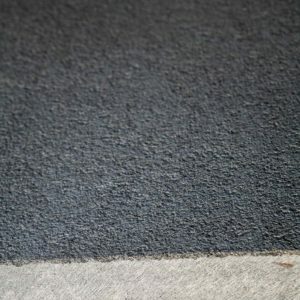 An unpolished matte or satin-sheen. 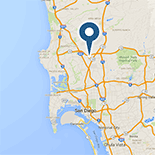 A satin-finish completely smooth surface finish with little or no gloss. 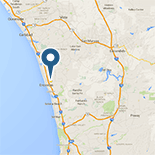 The degree of honing depends on the stone, and therefore results in a varying degrees of matte to satin appearance. 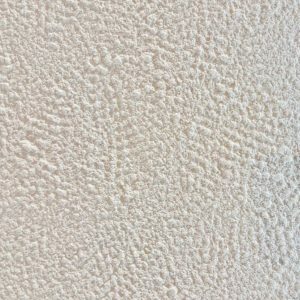 A subtly textured surface finish achieved by wet brushing a stone with a coarse rotary-type abrasive brush or wire-brush finished, which gives the stone a rustic or distressed texture. 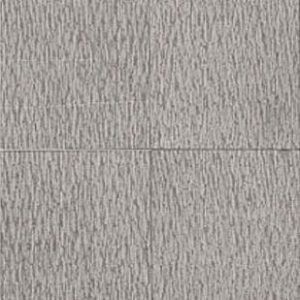 This finish tries to replicate the naturally occurring effects of the aging process. A bush hammer is a masonry tool used to texturize stone and concrete. 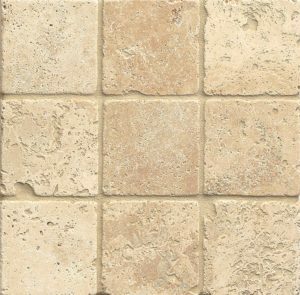 The repeated impact of these points into stone or concrete creates a rough, pockmarked texture that resembles naturally weathered rock. An aggressively-textured finish is achieved by the process of flaming the stone - usually granite. 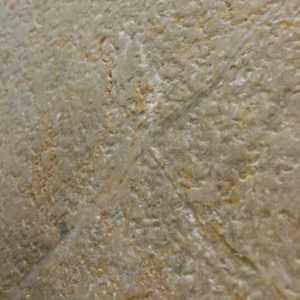 A stone surface finish with a scratched that appears to have been “raked” or “combed,” creating a dimensional surface texture – generally linear. 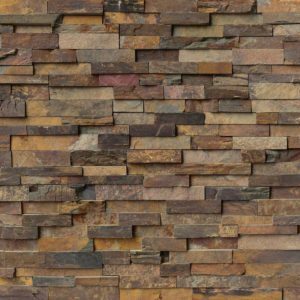 Typical use of rake-finish stone is wall tile or exterior cladding. A weathered, aging finish achieved when the stone is tumbled with sand, pebbles, or steel bearings. 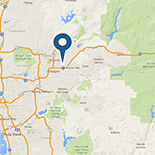 Tumbled stone may present chipped edges and imperfections created by the tumbling process. 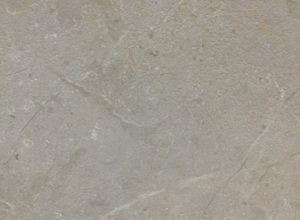 These characteristics give the stone more of a worn, old look. 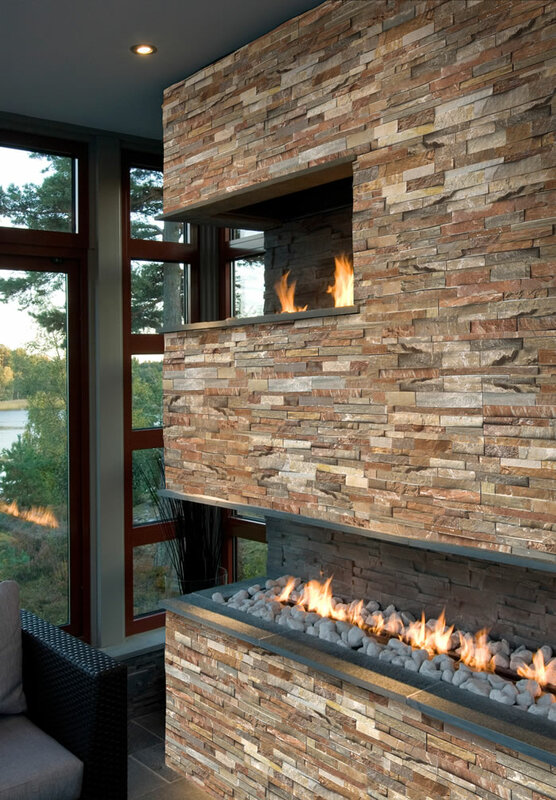 A rustic finish for veneer stone created with a split or chiseled face, and dressed along the stone’s perimeter to produce convex projection. See also pitch faced. In building stone, a rough face formed by splitting slabs in a split-face machine. 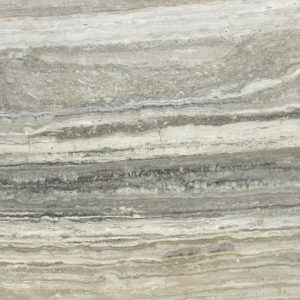 Generally the slabs are sawed parallel to bedding in stratified stone, so that the split face exposes the bedding in natural orientation or overturned, but some stone is sawed perpendicular to bedding and then split with the bedding vertical, either exposed as a cleft surface or vertical. A finishing process of blasting the surface of the stone with sand, which yields a rough, porous finish. 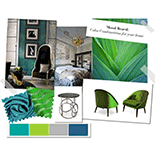 A custom stencil can be created for a unique design accent.